Free shipping will be available for most of the products having price above Rs.999/-. But considering heavy weight , some products are exempted from free shipping, even its price comes above this range. If a product is eligible for Free Shipping ,the respective product page will be notified by "Free Shipping" icon/message. 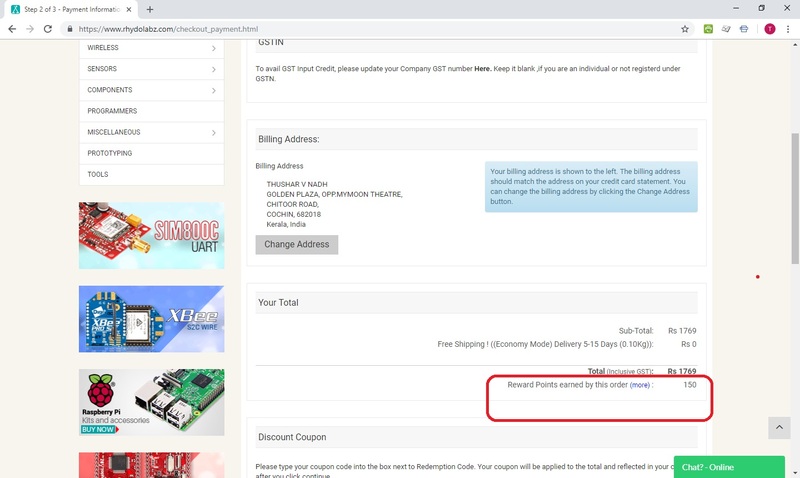 In case of multiple products in a order the software will calculate its eligibility for Free Shipping by considering the total weight of the shipment. 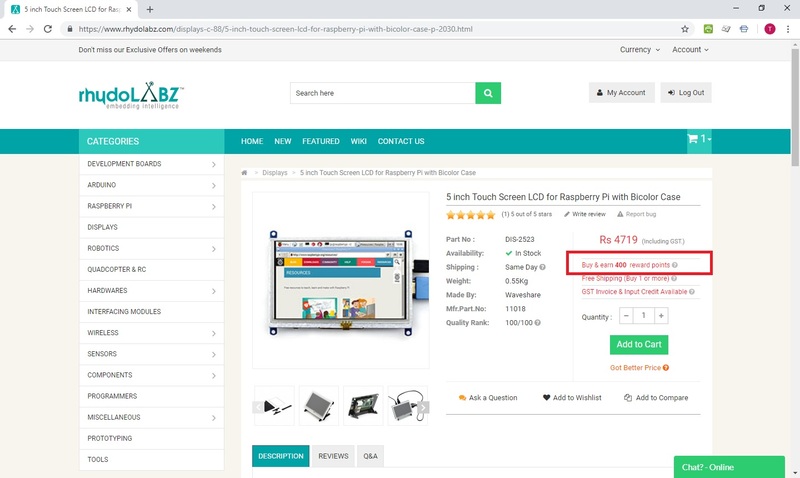 rhydoLABZ will use best possible shipping method to deliver the Free Shipping order and customer request on shipping mode will not be considered. In case of fast delivery requirements ,customer can choose other shipping methods available . Customers can earn Shopping Reward points on any purchase or any other actions they do in our website or in-store. 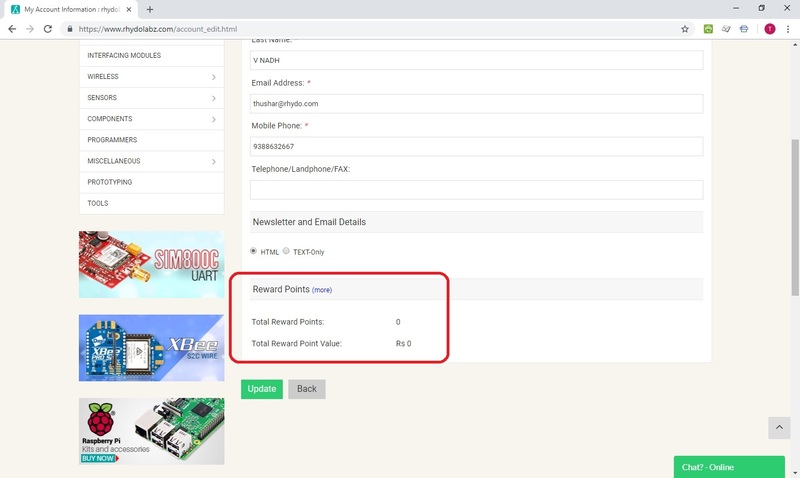 Reward points for each products are different and shown in respective Product Pages.Immediatly after placing the order Reward Points will be in pending status and will not show as earned. Once the order status changes from "Pending" the points will be added with the existing earned points. These earned Reward points can be redeemed for discounts in the next purchase or can keep it in account for accumulating. Reward Points for individual Item in Product page. 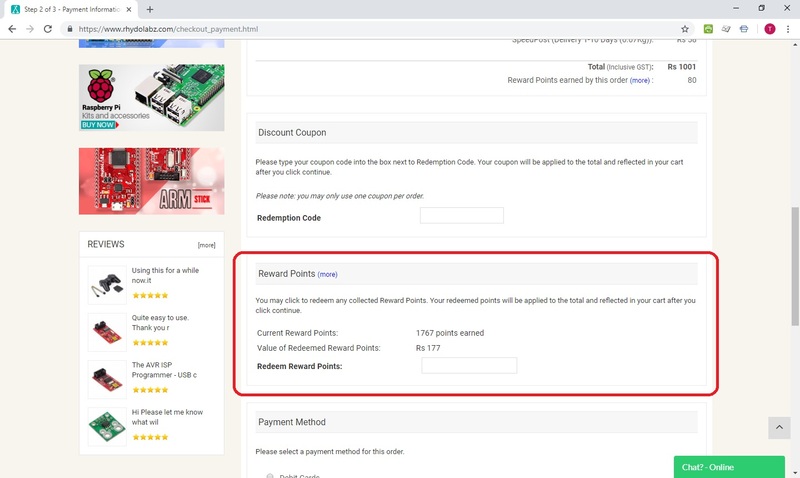 Checkout will show you the total Reward Point earned from that particular Order. In your "My Account" page , you will be able to see the Reward point earned so far. Reward Points collected while placing an order cannot be redeemed on same order , can only be redeemed on next orders. Customer must accumulate a minimum of 100 points to be eligible for redemption of Reward Points in the redemption program. Customer cannot transfer any points to another person or to another account. The points are redeemable only against purchase of products, vouchers or services at rhydoLABZ.com. RHYDO's decision on computation of Reward points will be final, conclusive and binding on the customer and will not be liable to be disputed or questioned.